The Windows 10 Fall Creators Update is due tomorrow and we can’t wait. 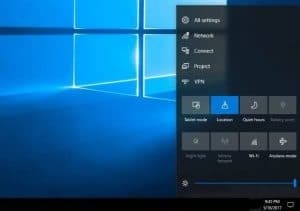 While the previous Creators Update brought a lot of improvements, including stability enhancements, there is more to come in this new update. The computer repair team at Dave’s Computers have already set aside a test rig so we can download it and play right away! So what can we expect from the Windows 10 Fall Creators Update? Better resizing of Windows, menus and Taskbar. A new flat Action Center UI with a similar look to the Start menu. New notifications look and feel. New Contacts cards that can be fixed to the Taskbar. My People Hub for Contacts. New file sharing mechanics and Share option in Explorer. New emoji panel with dozens of emojis to use wherever you like. New Photo Story Remix feature. The Windows Settings panel took over from Control Panel for most users and it is getting the love too in the Windows 10 Fall Creators Update. Cortana has its own Settings panel. 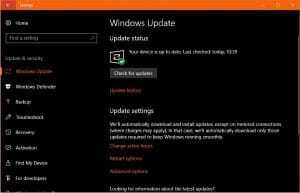 Windows Updates will now be individually tracked as they download. New tooltips and help panel will appear. New Android device link panel. New eye-tracking panel for Tobii products. Windows will throttle unused programs to better use resources. Cortana and Windows desktop can display Android device notifications. Windows Defender and Exploit Guard are both enhanced. Cortana has new commands including log out, shut down or reboot. New UI elements are being introduced. 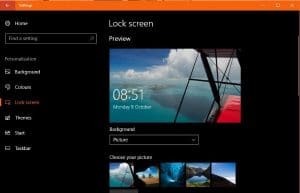 You will be able to recover your Microsoft Account password from the lock screen instead of having to log into the Microsoft website. The ability to write on PDF files from within the browser. PDF display and handling is much improved. Ability to read ePub documents. New UI enhancements including bringing it more into line with the Windows 10 look. The Windows 10 Fall Creators Update has a lot to offer in terms of content but nothing that will truly amaze. The more reliability improvements that are introduced the better as far as we are concerned. There are mixed reality updates and more VR compatibility included here too but it is very early days for both of these technologies. From what we discuss with our customers, not many people in Hillsborough, New Jersey have either device yet. Join us again tomorrow where we discuss whether you should get the Windows 10 Fall Creators Update immediately or wait a while.